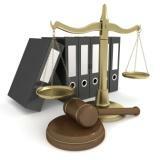 Ropemakers Solicitors is regulated by the SRA. Firms regulated by the SRA are required to collect, report and publish workforce diversity data annually. Ropemakers Solicitors carried out team surveys in September 2015, the data from which were gathered anonymously to produce an aggregated survey report in September 2015.